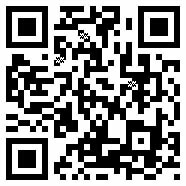 Scan the URL of this guide into your smartphone. The following steps outline a simple and effective way for finding information for a research paper and citing the sources you find. Develop a topic that asks a question or poses a problem that interests you. State your topic/problem in the form of a question. Select appropriate search terms for your subject within your question. Search subject oriented databases to locate journal articles. Revise your topic, if necessary. Determine how you will answer your question. Evaluate your journal articles carefully! Decide which articles to include in your research paper. Cite the sources you find following APA format. When in doubt, contact your librarian. The link below will help you refine your research topic.